Ignoring science in the name of science. 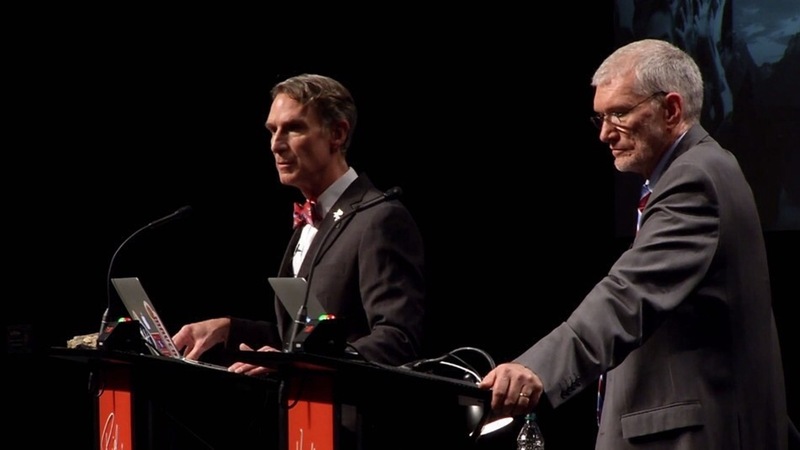 This week there was a lot of buzz about the debate between Bill Nye (the science guy) and Ken Ham (founder of Answers in Genesis and the Creation museum in Kentucky). I watched the debate, and I learned a few things. The most important thing I took away from this debate is that if you aren’t answering the questions you’ve been given with straightforward answers then you seem like you don’t know what you are talking about. One other thought I left with is that science and the bible are not mutually exclusive of one another. They go together. The bible is not a science textbook. In fact, the first few chapters of Genesis are written in poetry form – not as a scientific treatise on the creation of all things. But that doesn’t negate the fact that there are many ideas that have been discovered by science that the bible mentioned thousands of years before their discovery. Let me give you some examples of things mentioned in the bible hundreds and thousands of years before they became known facts proven by science. These predictions are the very thing that Ken, in my opinion, should have been using to answer Bill during the debate. 1. The earth is round. Isaiah 40:22 This wasn’t proven or even accepted as anything other than heresy until the 1500s. 2. The earth isn’t held up by some mythological creature. Rather it is suspended in space by seemingly nothing. Job 26:7 Job is the oldest book in the bible. 3. The universe is expanding. Isaiah 45:12. Edwin Hubble discovered this in 1929. 4. There are deep canyons in the ocean floors. 2 Samuel 22:16. This was discovered in the 1900s. 5. There are springs on the ocean floor. Job 38:16. This was discovered in 1977 (the year I was born) yet written about in the earliest book of the bible. 6. There are currents in the oceans. Psalm 8:8. This was discovered in the 1800s. 7. Water evaporates from bodies of water and turns to clouds then condenses to form rain and eventually goes back to its sources. This is known as the hydrologic cycle. Job 36:27-28. Bernard Palissy is credited with this discovery after he wrote his explanation of it in the 1500s. 8. The law of entropy. This is part of the second law of thermodynamics. Psalm 102:22-26. This was explained in the 1800s. 9. Some constellations are held together by gravity and move as a unit. Others wander in the sky with a unique “pattern” unlike other constellations. Job 38:31-32. Scientists now say that the stars in Orion’s Belt are all moving in different directions – thus the loosing. The Pleiades contain 250 stars that travel together in grouping held together by gravity. Arcturus is in a class of stars unique in the universe. They don’t travel like other stars. The sun travels at about 12.5 miles per second. Arcturus travels at a whopping speed of 257 miles per second. Who will guide him? Can you even catch him? 10. We are made up of atoms and molecules which can’t be seen with the naked eye. Hebrews 11:3. The light microscope which allows us to see at the cellular level wasn’t invented until 1590. 11. The sun isn’t stationary. Rather it moves at a high rate of speed. Psalm 19:4-6. People used to think this was talking about the sun revolving around the earth when in fact it was talking about the sun warming all things it is near as it moves through the galaxy. This movement of the sun was discovered around 1800. It is interesting to note that many people still didn’t consider the sun a star at this point in history. 12. The earth once had a main land mass that we call Pangea. Genesis 1:9; 10:25. It is thought that the continents began to drift during the flood, but continental drift wasn’t seriously suggested until the 1800s. Don’t ignore science in the name of “science”. We each have a brain that thinks millions of things a minute. It is the center of our being as far as how we function. It is key to our understanding and comprehension, our speech and recognition. The brain is vital to our ability to process information and grow and learn. There are people in the realm of science who say that to have religion is to function without using the cognitive reasoning that we have the capacity for. There are people in religion who say you don’t need to understand everything, you just need to have faith. So what we have is a battle between philosophy and science. I am a Christian, yet I love science and especially mathematics. I find that you cannot have science without philosophy that borders on religion, and you cannot have religion without scientific basis. Let me give you an example of what I mean. Euclidean geometry is the science upon which most of our lives are constructed. Euclidean geometry is the geometry you learned all the way through high school and maybe into college. It is the basis for construction and architecture and even art. Yet Euclidean geometry is based on a philosophical argument. In order to have Euclidean geometry you have to be able to prove that ‘these’ are the beginning sets of criteria then you can logically conclude that the end result will be ‘thus’. Rectangles have 90° angles, and triangles have three sides. Yet in order to have Euclidean geometry you have to make one assumption. Given a line and a point not on that line, you have to assume that there is one and only one line through that point that is perpendicular to that line. This cannot be proven. I know, because I’ve tried multiple times, and so have many, many others. All of Euclidean geometry is based on a philosophical argument: it works, therefore it must be true. Because you cannot prove Euclidean geometry you have to go by faith that the structure you are about to build based on this geometry is going to stand strong. There are, however, a multiplicity of other geometries out there – non-Euclidean geometries – that are equally as valid in terms of their initial assumption and the consequential proofs that follow. 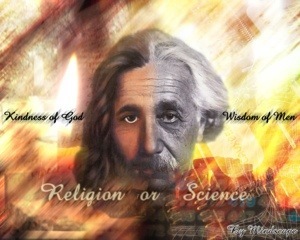 You cannot have science without a bit of faith, but faith is the stuff of religion. In religion, the basic assumption at the core is that there is a Creator that seeded life on this planet. If we just check our minds at the door we miss that the order of the universe, and even the order of the structure of creatures on this planet create a probability problem as to the chance that these things could possibly have just happened as a result of random events in the history of things. I do not believe in the Creator merely on faith alone – though I have faith. I find that there is more evidence pointing to there being a Creator than there is to everything just happening by chance. Plus, I find that this philosophy/science perspective gives much greater value to us as humans as to our uniqueness among creation. If you have religion without science, then there is no bedrock of proof to back up your philosophical claims. You prove yourself to be weak minded in the eyes of those who hold more highly to science. Yet you don’t have to be.